Home / CAD Hardware • General / What is the Best Laptop for AutoCAD? Even though it is recommended to perform CAD designs on desktop computers, using a laptop computer is also a possibility. Laptops are simple because they are portable, lightweight, and well-balanced for many tasks. Especially for students and beginners in AutoCAD, it may not be economically feasible to invest in a full-pledge desktop computer to obtain better performance in CAD softwares. The best laptop for AutoCAD requires a fast processor, memory, relatively large screen size, and graphics. We will discuss these three aspects in more details and then review a few laptops that meet these requirements. 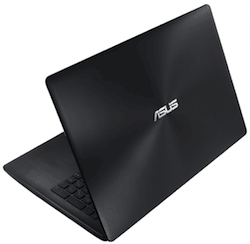 Every laptop specifications includes the type of processor and its speed. The type of processor includes the brand, model, and number of cores. In addition, each core is associated with a processor speed in gigahertz (GHz). For example, an average laptop includes quad core processors ranging from 1.8 to 2.6 GHz speed. The processor speed refers to the number of cycles a processor can perform in a second. Therefore, the higher this number the better performance (well, most of the time). Without getting into the details, a speed above 1.8 GHz should be enough for AutoCAD designing. Note that most computers come in dual and quad core systems. This means that each core is capable of performing tasks. For example, this means a quad core has 4 cores that can have a speed of 1.8 GHz. Again without the details, dual core processors are good enough. Memory, or otherwise known technically as RAM, is extremely important when it comes to CAD. The RAM is much faster to read and write than other storage, such as a the internal harddrive. However, always remember that you do not exactly have access to save/load from RAM, instead it is a temporary location used by softwares to speed up processes. Therefore, the more RAM a laptop has the better it can technically perform in AutoCAD. The standard 4GB RAM is enough. However, RAM is low-cost and therefore can be upgraded at any time. If interested, check out the this article on which RAM you can use with CAD workstations. The screen size is extremely important. In a previous post where we discussed the best computer of AutoCAD, we said that a desktop computer should be at least 17 inches. However, a 17 inch laptop is in many cases too large to be seen as portable. On the other hand, another standard size is 13 inches, which may be too small. Thus, 15 inches to 17 inches is a good tradeoff in portability and ease of use for CAD. Rendering your 2D and 3D designs requires a high-quality graphics cards embedded into your laptop. However, the issue is that these cards can be expensive and may only benefit for your CAD tasks and potentially have no use during daily tasks, e.g. browsing, email, among others. This is a tradeoff that needs to be made. Either you can shell out the premium price to get a top of the line graphics card or get an average one. For top of the line cards, AMD is on the forefront with their Fire Pro model. This card has support for 4K displays, OpenGL rendering, and much more. It is the ideal choice for any CAD designer and you can see various laptops with AMD Fire Pro on Amazon.com. Now that we have explained the four aspects to consider when choosing the best laptop, we will review a few laptops we recommend. 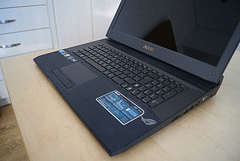 We chose these laptops considering the above aspects but also with emphasis on cost. In conclusion, the best laptop for AutoCAD should, in our opinion, include a fast processor, adequate memory, relatively large screen size, and a good graphics card. If these specifications are met, you should have minimal issues designing with CAD software.